NESCO gathered a strong team for their trivia night, Family Feud-style. 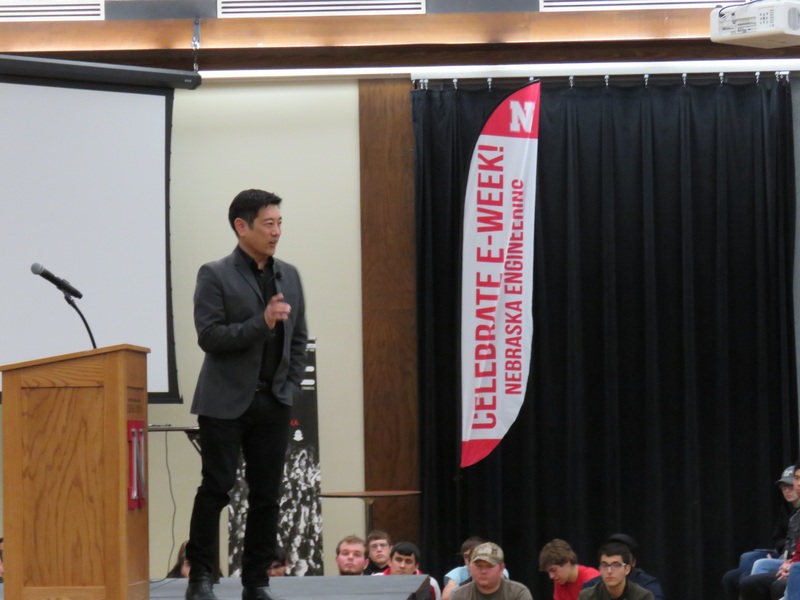 Grant Imahara from Mythbusters was our E-Week 2017 guest of honor. 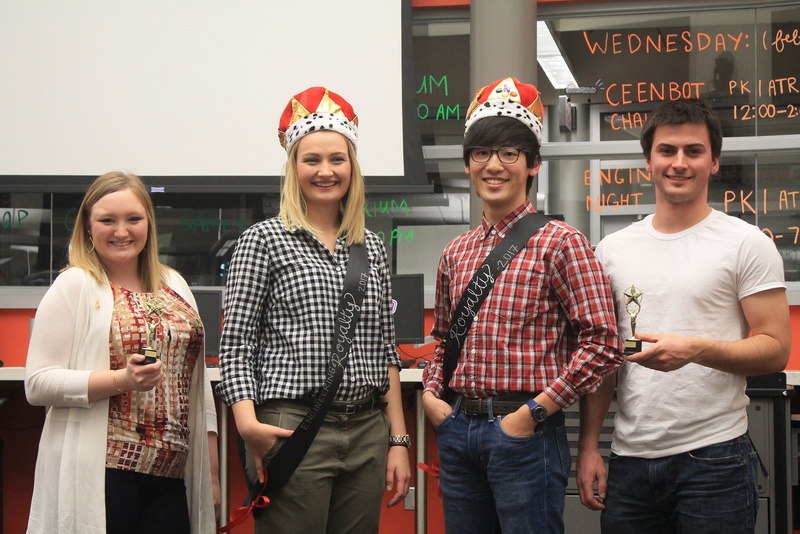 Society of Women Engineers hosts an Engineering Royalty Pageant annually. Meet your reigning 2017 Engineering Royalty! 3... 2... 1... Go! The hotdog eating contest is always a hit. Students showcase their creativity and engineering skills at the design competition, trying to build the strongest duct tape bridges. 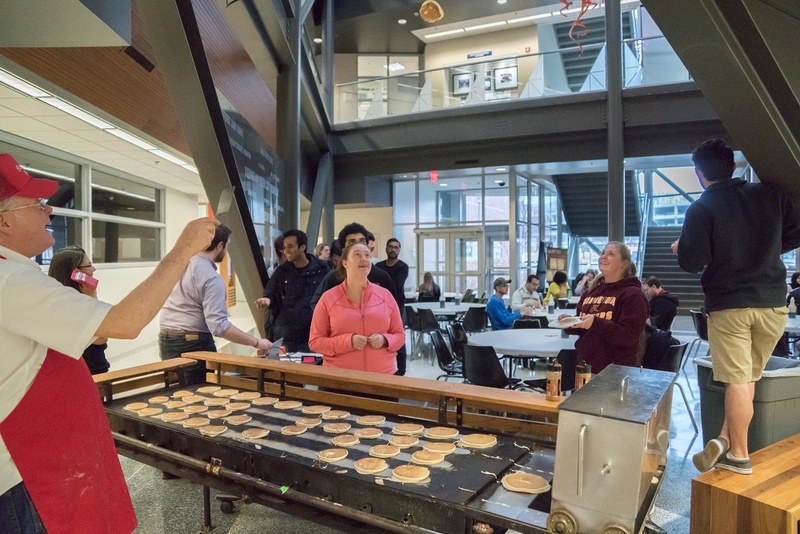 The Pancake Man kicks off Scott Campus E-Week right with a pancake feed. UN Robotics Competition in the Peter Kiewit Institute was supported by Union Pacific as a Diamond Level Sponsor. 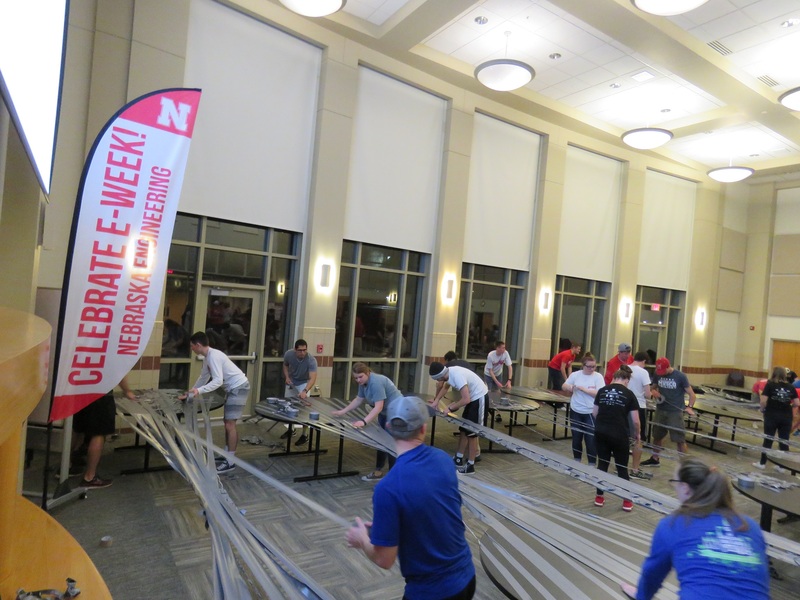 Engineers Week (E-Week) has been a University of Nebraska tradition since 1913. 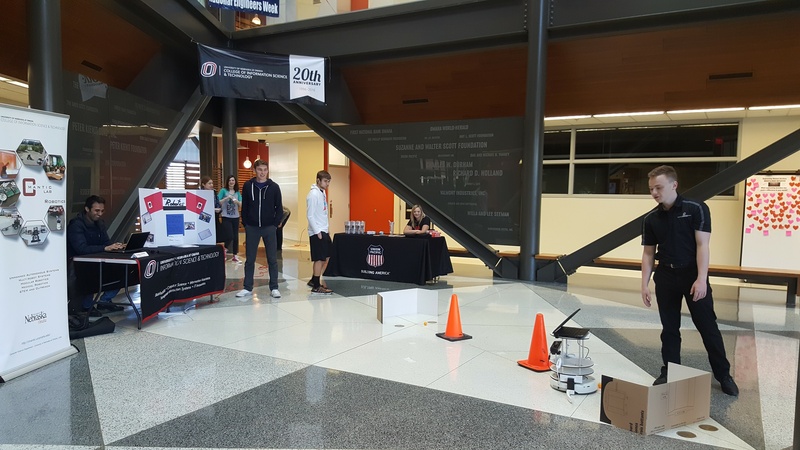 In conjunction with National Engineers Week, engineering students in Lincoln and Omaha come together to celebrate their collegiate accomplishments as they work toward graduation and future careers. College of Engineering students plan and coordinate all events for E-Week. 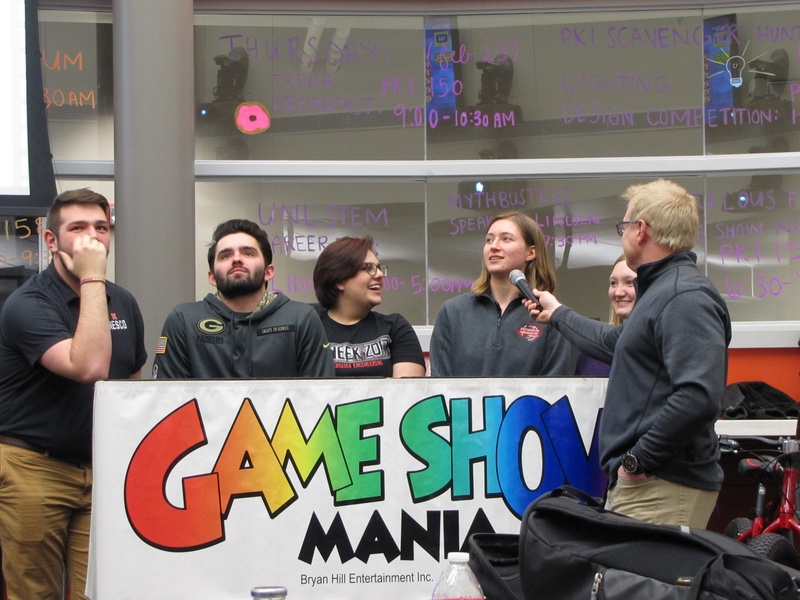 While events change on an annual basis based on the theme, these student-centered events generally include competitions, student banquets, and light-hearted social events that bring the collegiate engineering community together. You can read more about the National E-Week programs and initiatives at http://www.discovere.org. Thank you to all our 2019 E-Week Sponsors! The College of Engineering will host the Senior Design Showcase on Friday, April 26, 2019 to highlight the advanced engineering research and projects initiated by our students.